The intern was accepted into a one-year non-renewable internship position with the charitable organization to work on various tasks such as creating a newsletter and preparing minutes, as well as completing a thesis. Once the thesis was finalized, the intern had to send it to the Department of National Defence by a certain date. The intern was told in her acceptance letter that the scholarship funds she was to receive were considered taxable income and she would receive a T4A. Yet the intern was also told the organization would take no source deductions from the $35,000 she received. Subsequently, the intern moved on to the Ministry of College and Universities of Ontario on a research contract. After this point, she contacted her former manager at the charitable organization and asked for a record of employment indicating she had 12 insurable hours as a result of working there. The manager did this; however, when the intern later asked for the record to say 1,855 hours, she did so but with a note stating that the intern worked a regular 35-hour week, but no CPP or EI deductions were made because the internship was funded as a scholarship by the Department of National Defence. In tax court, the charitable organization argued that the intentions of the parties were clear: the intern accepted an offer of a $35,000 scholarship sponsored by the Department of National Defence. She had to report her research and complete a thesis by the end of the internship. Essentially, the organization asserted that the intern was not an “employee.” Consequently, no source deductions (EI and CPP) were necessary. The intentions of the parties were very different, and this became clear when listening to the intern who considered herself to be an employee of the charitable organization. The manager exercised a high degree of control over the intern and was under direct supervision. The intern used the office supplies of the organization, did not pay her own expenses, and did not make a profit from her endeavours. The court rejected the intern’s argument that she did not know what she was doing when she asked the manager to prepare the records of employment stating she had insurable hours. In reality, the intern tried to recharacterize her internship as employment to receive employment insurance benefits because she was short insurable hours. The court went through the typical test to determine whether or not a worker was an “employee.” In terms of control, it was unquestionable that the manager’s characterization of the supervision was more accurate. Since the manager recognized that the intern was not an employee, there was a fair degree of independence and flexibility in what she did. Also, though the intern used the organization’s computer, she shared it with the other interns. The intern did not take any financial risk or incur any expenses. 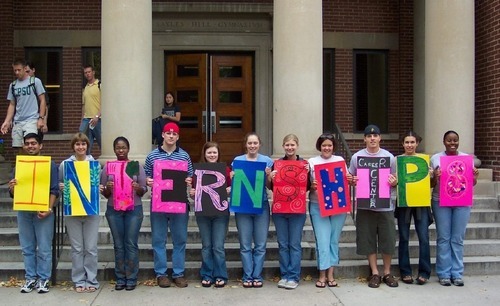 Finally, the intern knew that the internship was created for her benefit, not for the host organization. Thus, since this was not an employment relationship, the charitable organization did not have a responsibility to make CPP and EI source deductions from the money received by the intern. It appears as though interns are not typically considered “employees” under Canada’s workplace laws. Do you think this is fair, given that interns perform work of lower level employees for low if any wages, with very few legislative protections? Do you think interns should be considered “employees,” and organizations hosting interns should make CPP and EI deductions? In this case, for instance, the intern was not able to collect EI benefits because she did not have enough accumulated insurable hours, even though she was working, because she was technically not an “employee.” What do you think?